In this faith we entrust those who have died to the infinite mercy and love of God. The Methodist funeral service acknowledges this hope and offers bereaved people the opportunity to remember their loved one’s life and offer them into God’s care. How do we arrange a funeral? The person who has died may have left details of the sort of funeral that they hoped for. One of our The Team will want to support families in keeping to such arrangements as much as possible and in making the service a personal and appropriate occasion. Taking funerals is an important part of the minister’s work and s/he will take time to visit families, offering comfort and support. 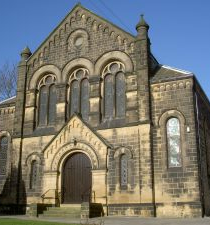 Although Baildon Methodist Church once had a burial ground, it is no longer available for use; as a result burials usually take place at the local cemetery. 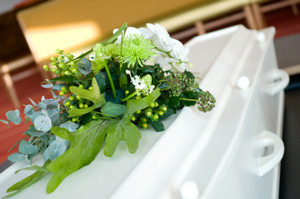 Just over half of funerals today are cremation and services may take place entirely at the crematorium, or Church Service could be held before or after the visit to the crematorium. If cremation is desired this leaves the question of what to do with the ashes. Crematoria have gardens of rest where they can be buried or scattered and many churchyards have a special place set aside for this even when there is no space left for graves. The time between a person’s death and their funeral is often very busy and full of practical arrangements. Often it is only after the funeral that the full extent of loss affects the bereaved. Grieving is a natural and important part of coming to terms with and healing this loss and it may continue for several months. The Team may be able to offer help or find other appropriate support. There are patterns and themes to bereavement but each person is different and it is important for people to be supported in finding their own way through grief.